CASE STUDY: The Lionsgate-Starz Merger: Changing the Landscape or Just Another Blip? In a nutshell, "this [Lionsgate-Starz merger] deal is about increasing content and distribution." 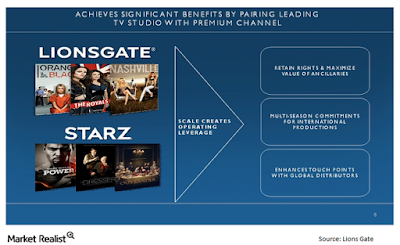 And mainly to the benefit of Lionsgate because it has and creates tons of content and now has a TV distribution outlet for all of that content at its control. It is (regrettably?) 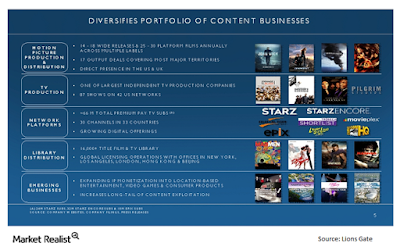 another step in the corporate consolidation of the media landscape and another sign of how difficult it is to make money while competing with other studios and other forms of entertainment. Many are saying this is changing the landscape (since it will help compete against the streaming networks) and maybe it is, but I can't help just see this as just another step in a landscape that has already been changing since the DVD stopped making money as Netflix and YouTube started making money. 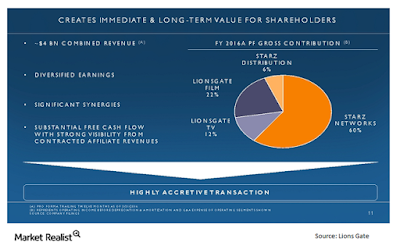 For the business and legal heads out there, here's an in-depth analysis of the Liongsgate-Starz merger from the Market Realist.